It’s time for a change, we put you first so you can live the life you want to! Whether you’re seated at your desk or running errands all day, the results of long term slouching can catch up to you. Hunching over not only has negative effects on your spine but can take a toll on your mental state of mind. Thankfully we’ve been able to find a solution that will correct your posture AND give you the confidence to go out and seize the day! Through diligient testing, our body wellness corrector has been FDA approved so we can offer long lasting results for men and women at an affordable price! We care so much for your results we’ve added a free resistance band in every one of our packages to strengthen your supporting muscles! Our product works by holding your shoulders in their natural position while straightening your spine to attain perfect posture. 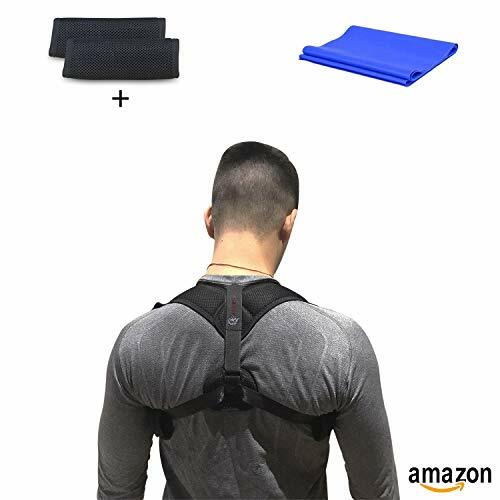 This thoracic brace works for everyone including people suffering from neck and back disorders such as kyphosis. Designed to be unnoticeable under clothing so you’re able to wear for longer periods at a time! An adjustable orthopedic brace with shoulder straps for convenience! Best for chest sizes ranging from 28 to 43 inches. Made from the highest quality of fabric to guarantee comfort. For the best results begin wearing the product for 20 minutes per day and gradually increase over time. ✔ Let’s take the step together in bettering your life by adding to your cart now! We’re here every step of the way so if you have any questions or concerns feel free to contact us!